India may have been expected to be nervous playing in front of an expectant capacity crowd at the historic Kalinga stadium. The young Indian side showed early signs of its dominance in the opening 15 minutes when their opening bore fruit in the 10th minute into the game. Rassie Pieterse denied India’s Simranjeet a chance, but didn’t see Mandeep Singh, who was on hand to smash the ball home. 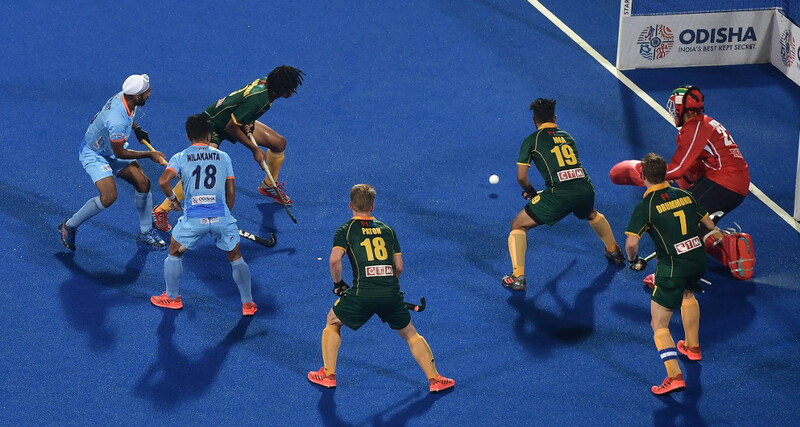 The second quarter saw the South African men revert to a more defensive approach, which quickly produced a more balanced quarter of hockey. In the quarter both sides had six circle entries and one shot on goal as the SA Men’s nerves seemed to settle with the score remaining 2-0 by the half-time mark. 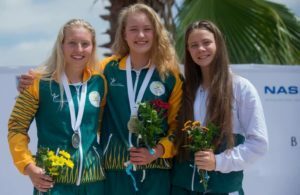 It was a scoreline that was reflective of the opening half and meant that Team SA would have to find another gear to get back into the game. For the next 10 minutes in the third quarter it felt like the South African hockey team were finally getting a foothold in the game, with better possession, better movement and better time on the ball for the flare players like Julian Hykes, Taine Paton and Nic Spooner. 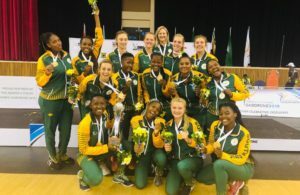 Having created two good scoring opportunities, including a penalty corner, Team SA were left floored when India showed the difference in class between the two sides with a double strike. First there was defensive uncertainty for Team SA, allowing Simranjeet Singh to net before Lalit Upadhyay showed all strikers how it’s done with a splendid deflection. The double strike right at the end of the third quarter took all wind out of the South African men’s sails and settled the result for the hosts.